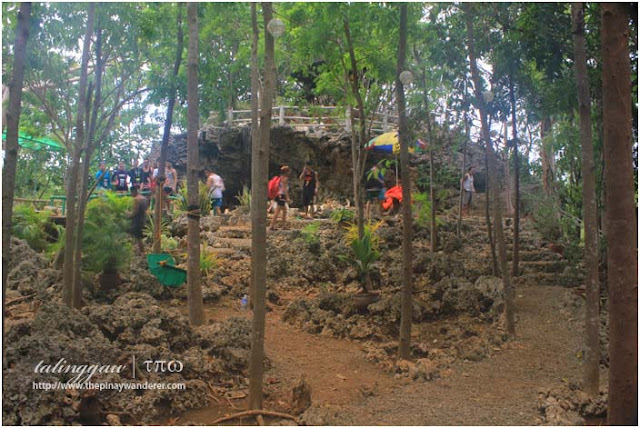 Just like Cape Bolinao Lighthouse, Enchanted Cave isn't the only cave Bolinao is proud of. There actually are three caves in this town - Cindy's, Wonderful and Enchanted Caves. Of the three, Enchanted is the most famous one. 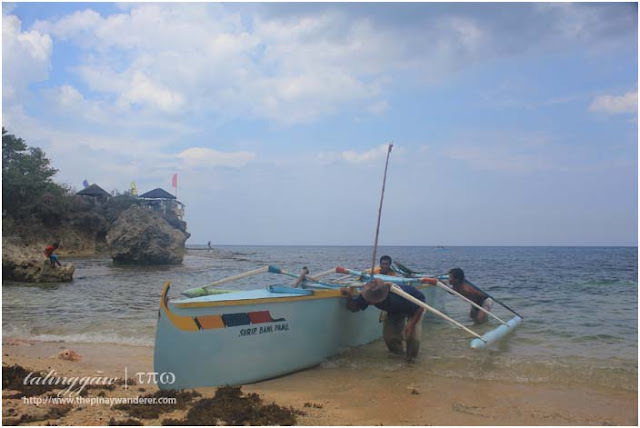 It is located in barangay Patar and is usually the first destination of the Bolinao tour. 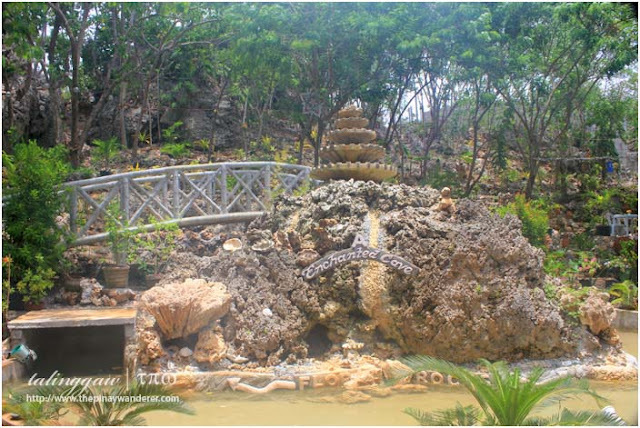 Enchanted Cave is a privately-owned resort/nature park immortalized in the GMA television series Dyesebel (starring Marian Rivera). It features an underground cave with a natural spring lagoon of refreshingly cold crystal clear water enticing guests to take a dip and swim. inside the cave..., notice the water? The park and the cave itself sits on/is surrounded with coral stones giving credence to the story that this area was once submerged under the sea. 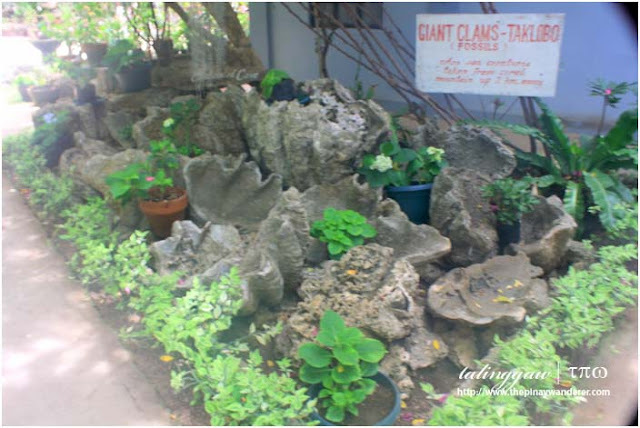 Another testament to this claim are the fossilized giant clams displayed near the park's entrance that they say are millions of years old, though no carbon dating has been performed on those clams, yet. 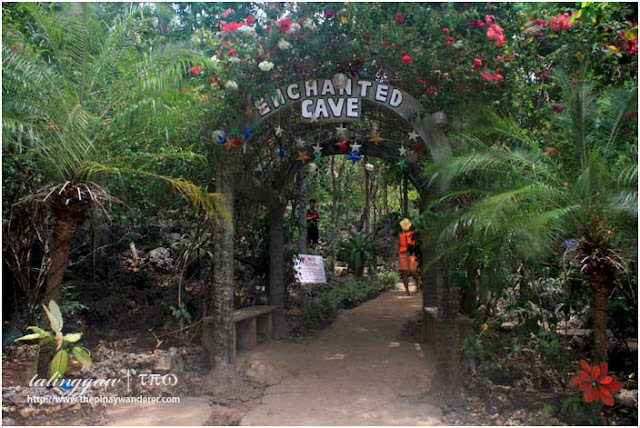 According to the resort's tour guide assigned to us, Enchanted Cave accepts tourists for overnight accommodation. 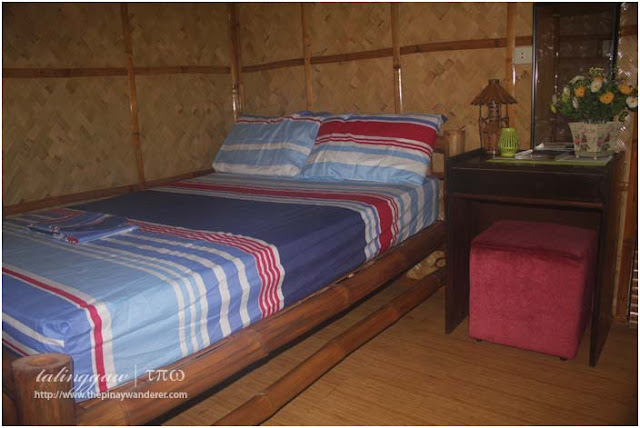 They have several cottages with a room setup like the one in the photo below for 2,500 Php/night, good for two (2) persons. I don't know if they still offer the said rooms for the same rate; couldn't find a site/review to verify it, either. Please contact them directly for any inquiries, if ever. 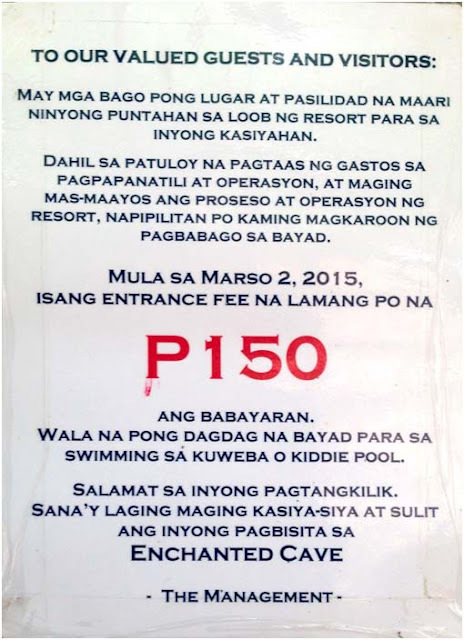 It's been more than a year since this escapade but I checked the WWW and found out this is still the prevailing entrance fee to the resort; that is, 150 Php per person, young (6 y/o and above) and old, swimming or non-swimming guests. Quite pricey for an entrance fee, especially if you only want to see and explore the place for a little while. Also, since the the cave is quite small, it gets crowded pretty fast especially during peak season. During our visit, we only get to stay inside the cave for a few minutes; the cave is crowded, it's hot inside and there's nothing else to do and see anyway, unless you'll go swimming. * From Pasay or Cubao, take a Bolinao-bound bus and get off at Bolinao bus terminal; fare is around 500 Php for aircon buses, one way; travel time is around 7-8 hours. * In Bolinao, head off to Church of Saint James. On the side street, in front of Adora's Restaurant, are tricycles offering Bolinao tour; cost is 600 Php, round trip; tour takes around 4 hours. 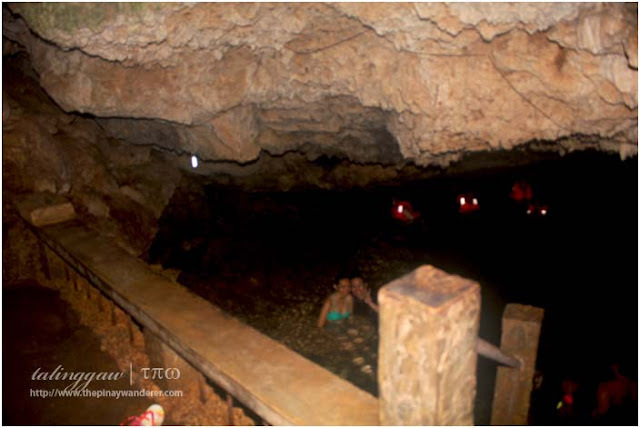 Enchanted Cave is part of a DIY tour my nephews and I made last 2015, while on vacation at my mother's hometown Bani. Just like my Ilocos Norte adventure, it was also a tour via a tricycle. Bolinao DIY tricycle tour costs 600 Php covering 4 of Bolinao's tourist destinations - Bolinao Lighthouse, Bolinao Rock Formation, Patar Beach and this cave. i hope makapunta din ako diyan..